Welcome to the Outhouse Family Tree website. Much of the information on these pages came from The Outhouse Family Historical Society as well as 40 years of individual research. Feel free to browse these pages, collect information for your own tree and, hopefully, share your information with us. Enjoy! The 2014 Bi-annual International Reunion of the Outhouse Family Historical Society was held on the farm of OFHS President Bill Outhouse in Oregon, WI, June 27, 28 and 29, 2014. The 2016 Reunion will be held in Colorado Springs, Colorado. THE OUTHOUSE LINEAGE has been traced back to Holland, or The Netherlands, into the 1600s. Our first known ancestor was Klass Simonse who was born about 1600 and died after 1684 in Uythuysen, Holland. He was still living in the Village of Uythuysen, in the Province of Groeningen, when the will of his son, Simon Claessen Van Uythuysen was proved on 7 Oct 1684. Klass Simonse, the first known ancestor, had several children, one of whom was Simon Claessen Van Uythuysen. Simon Claessen was a gunner in the employ of the Dutch East India Trading Company when his freighter, the Angel Gabriel, put into harbor at New Amsterdam on 6 Sep 1641 with its mast broken in two places and the ship leaking. It sailed, after repairs, on 21 Sep 1641. After his marriage in 1655, he and his wife Anneken, daughter of Lodewyck DeJonge, lived in the Poor Bowery of New Amsterdam, which was a collective farm worked by the inhabitants until they were able to leave the colony and settle elsewhere. His first four children were born there and baptized in the Dutch Church of New Amsterdam. In 1662, he and his family moved to Breukelen, buying 12 acres of land near the ferry. Before 1668, he brought his brother, Jan, and two sisters, Annetje and Marritje, from Holland. With his father-in-law, Lodewyck DeJonge, he was one of the signers of a petition to the Governor for the creation of a village near Breukelen, resulting in the establishment of the village of Bushwick. Simon Claessen died between 8 Jul 1684 (date of his will) and 7 Oct 1684 (when the will was proved). In his will he names living members of his family in Holland: four sons, Claes, Lodewycke, Pieter, and Jan; two daughters, Elizabeth and Margriet; and two brothers- in-law, Dierck Janse Woertman and Joost Corkuyt. In a letter written by Queen Perry to "Charlie " 20 Jun 1988, she states that her earlier research was in error; that Simon did not die in 1684 but rather he married again. The custom at the time was to make a will before remarriage, thus protecting the interests of his children by his first wife. 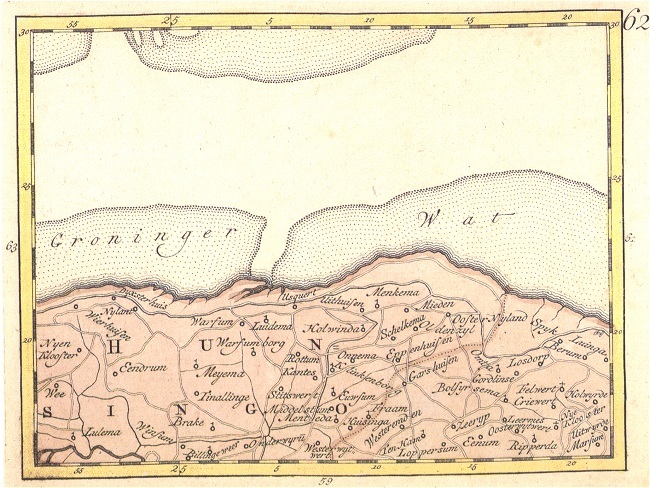 (Reference Teunis Bergen's "First Settlers of Kings County," under Uythuysen). 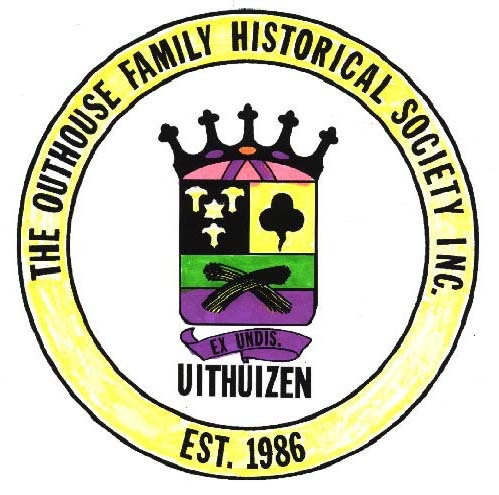 The Outhouse Family Historical Society was organized as a 501(c)(7) on 6 Nov 1986 in Arizona primarily by Dr. James Outhouse and Dr. Julia P. Outhouse for the purpose of generating a family history that all their relatives and descendants could be proud of. Over the years, many people, including Mildred Outhouse Burcalow, Terry DeFrees and Marcia Staton have added to the initial information. The first president of the Society was Dr. James B. Outhouse, Lafayette, Ind; Vice President, Marcia Staton, Waukesha, WI; Sec/Treas - Ed Outhouse, Scottsdale, AZ; and Historian, Judy Oberg, Madison, WI. Today it boasts members from all over the U.S., parts of Canada, and Australia. Reunions are held every two years and regional reunions in the opposite years. Origin of the name likely stems from our ancestors home of origin, Uithuizen, Holland. The Dutch often added "Van," meaning "from," to the name of the town they had lived in Holland, to their own name to identify their family. The British, who took over New Amsterdam and made it New York, pronounced the name "Outhousen" and by 1695 it became Outhouse. Uithuizen, Holland dates back to at least the 13th century, when a church was built which still stands today and is famous for its organ. The manor house / castle called Menkemaborg was built in the 14th century. Today it is a museum. The ancestral town of Uythuysen no longer exists, but only just recently. I visited the village in 1971. In 1974, another member visited the town and took a picture of the town crest (which OFHS later officially adopted as its own). Dr. Jim Outhouse, one of founding members of OFHS, used this slide to produce copies of the crest. When Dr. Jim took a group over there later (1986 I think), he found the town crest removed because the town of Uithuizen was merging with a nearby town. The new town was named HEFSHUIZEN. A new crest was being made. Dr. Jim asked about the old crest for Uithuizen. He was told where to find it. It was laying on the ground in a fenced in area. He was told it would be placed in a museum. Groningen is the name of the nearest large town. If you can find Groningen on a map you are a short distance to Hefshuizen. The Dutch name Uythuysen means "outer house(s)." I've heard a couple of theories on what that meant. One is that Uythuysen began as an outpost, away from the main town (I don't know what main town). 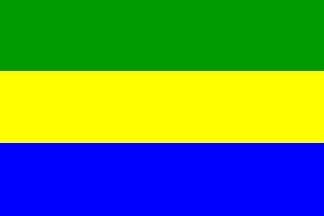 Another is that the original inhabitants were outcasts and forced to live outside the main town.